On June 24, 1919, Pennsylvania became the seventh state to ratify the 19th Amendment, which granted women the right to vote. It took more than a year — until Aug. 18, 1920 — for the required two-thirds of states to ratify the amendment. Eight days later — on Aug. 26, 1920 — U.S. Secretary of State Bainbridge Colby certified the 19th Amendment to the Constitution. That November, 8 million women across the United States proudly cast their first votes. Suffrage opened more than the polling booth to American women. Although women had run for office before the 19th Amendment, the right to vote gradually led to more women candidates and appointees in government. Since 1920, eight women have served as secretary of state in Pennsylvania. The eighth, Kathy Boockvar, was appointed acting secretary by Governor Tom Wolf in January. 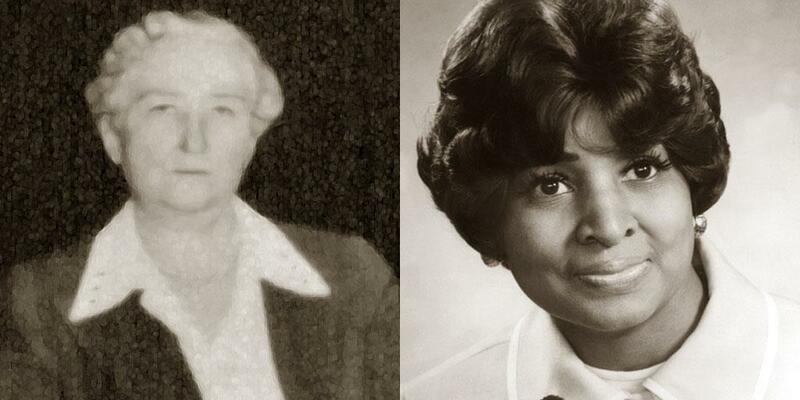 This Women's History Month, we celebrate the first two female secretaries of the commonwealth. They both broke the proverbial glass ceiling years before Marilyn Loden coined the term in a panel discussion at the 1978 Women's Exposition in New York. A Wilkes-Barre native and attorney, Sophia M.R. O'Hara had a distinguished, 22-year career in state government. She worked in the administrations of four Republican governors and held two cabinet positions. She served as deputy state attorney general from 1927 to 1935 in the administrations of Governors John S. Fisher and Gifford Pinchot. O'Hara made history in 1939 when Governor Arthur A. James appointed her the first female secretary of state in Pennsylvania. She then served James' successor, Governor Edward Martin, as state welfare secretary until 1947. O'Hara also sat on the Pennsylvania State Parole Board. A 1941 Associated Press story described her as "a whitehaired spinster who reads detective stories for relaxation" and reported "she tackled without emotion today the grim task of deciding the fate of two men condemned to die." She was known, in the parlance of the day, as "Pennsylvania's No. 1 career woman." Philadelphia native C. Delores Tucker was a well-known civil rights leader and activist for women's rights. She marched for voting rights with Dr. Martin Luther King Jr., and co-founded the National Political Congress of Black Women, now known as the National Congress of Black Women. With her appointment by Governor Milton Shapp in 1971, Tucker became the first African-American secretary of state in the nation. She served until 1977. Tucker championed the Pennsylvania Equal Rights Amendment, voter registration by mail and lowering the voting age from 21 to 18. During her tenure, she spearheaded the creation of the Commission on the Status of Women. Thanks to her influence, Governor Shapp appointed more women and African Americans to the bench and to various state boards and commissions than ever before. Toward the end of her life, Tucker led a crusade against song lyrics she considered demeaning to women, African Americans and children. Two state historical markers — one in Philadelphia and one in Harrisburg — honor her.